There are few sleepers today who are strangers to the Tempurpedic brand. Even for those who have never slept on one, chances are that nearly every sleeper has heard the name. 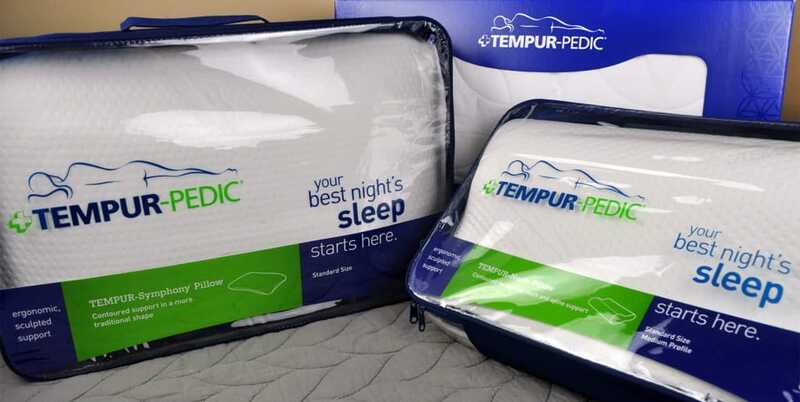 Tempurpedic first swept the sleep industry with its revolutionary mattress and today, they offer a variety of pillows that utilize similar technology as what’s found in the classic Tempurpedic mattresses. Back sleeper? Side sleepers? Stomach sleeper? Tempurpedic boasts a pillow for all types of sleepers. This review is going to look at three of Tempurpedic’s most popular pillows- the TEMPUR-Neck Pillow, the TEMPUR-CLOUD Soft & Lofty Pillow, and the TEMPUR-Symphony Pillow. Tempurpedic offers 12 different types of pillows. 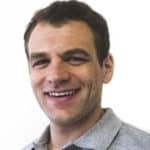 TEMPURpedic Pillow Reviews – Symphony, Cloud Soft & Lofty, or the Neck Pillow; Which one is right for you? The last styles of pillows offered are the Tempurpedic travel pillows. These pillows are smaller in size and intended for travel, varying in shape and support. The three pillows that this review is going to look at are the TEMPUR-Symphony pillow, the TEMPUR-Neck pillow, and the TEMPUR-Cloud Soft and Lofty. The TEMPUR-Symphony pillow is constructed from a solid mold of Tempurpedic’s proprietary foam and has a 100% polyester knit cover. The pillow contains two differently designed sides. The flatter side aims to support stomach sleepers while the slightly arched side is designed to create additional support for back and side sleeper. 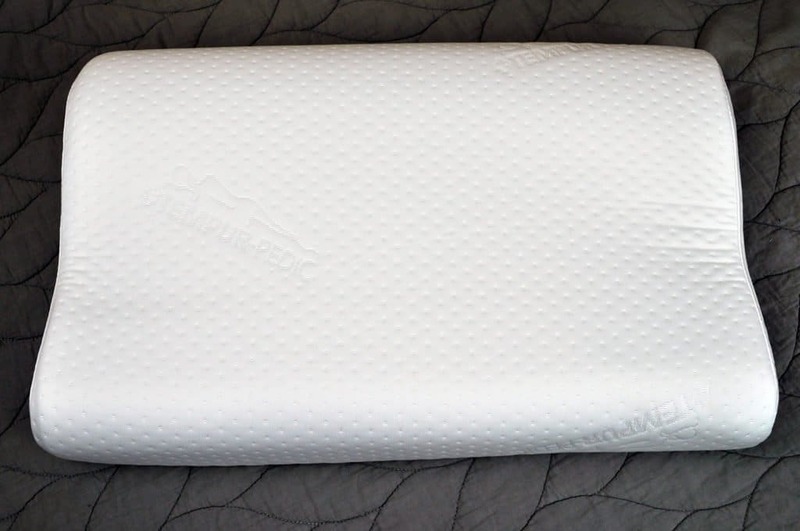 Their proprietary foam is a molded foam which allows the pillow to retain its shape. The unique Tempurpedic foam allows for a softer feel that creates hug and contour around your head to relieve pressure from your spine and neck. Tempurpedic’s dual sided Symphony Pillow design accommodates all sleeping positions while maintaining a medium firm feel and consistent aesthetic. The pillow is encased in a 100% polyester knit cover that is both allergen and dust resistant. Additionally, the cover is removeable and machine washable with a zipper closure. Beneath the cover is a 100% polyester netting to help protect the foam. Aesthetically, it is a white cover with an embossed texture and the Tempurpedic logo embossed at a diagonal. During my sleep tests, the Tempurpedic Symphony pillow had a nice feel- very traditional memory foam. When I first laid on the pillow, there is an initial firmness when your head meets the pillow, but after a few seconds, the foam activates and my head could fully sink into this pillow. It has a slower response time; in order to love this pillow you need to love the feel of memory foam. That being said, this pillow also has great deep compression, pressure relief, and viscoelasticity. When sleeping on my stomach, I used the flatter side of the pillow to try and create a low loft feel and it was quite comfortable. Even though the other side of the pillow is loftier, it was surprisingly not noticeable once I flipped the pillow over. When sleeping on my back and side, I used the more arched side of the pillow. For back sleepers, it was a nice feel- again, very slow response time, moderate hug around my head, and about average cooling. For side sleeping, I did notice a bit of shifting as my head sank into the pillow. Due to the contours, I found the pillow sliding up out from under me, causing my main head impressions to be on the lower half of the pillow. I wouldn’t call this support to be ideal, but it could just be due to my lighter weight that I found it difficult to keep the pillow in place. The TEMPUR-Neck pillow is also constructed of a contoured mold of Tempurpedic’s proprietary foam and a 100% polyester knit cover. The unique curved design of the neck pillow controls the alignment of your head, neck, and shoulders to maintain correct posture while you sleep. The nature of the alignment in this pillow requires correct matching of their 3 different sized pillows and the few characteristics listed in the chart below. The TEMPUR-Neck pillow is encased in a 100% polyester knit cover which protects from allergens and dust. This cover also has a zipper closure which makes it machine washable. There is a 100% polyester netting which encases the foam beneath the cover for an added layer of protection when the cover is being washed. 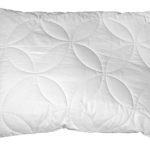 Aesthetically, this pillow uses white cover with an embossed texture and the Tempurpedic logo embossed at a diagonal. During my sleep test, I found the neck pillow to be a bit firmer than the Symphony pillow when I initially laid on it. 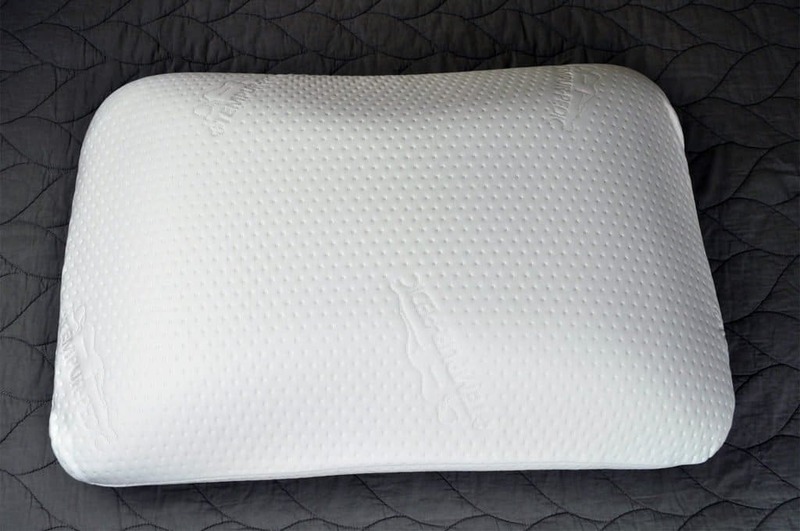 The contoured profile of this pillow was comfortable when sleeping on my back or side. In both positions, the contours helped the pillow to stay in place and properly supported my head and neck throughout the night. While laying on my stomach, this pillow was not suitable and was uncomfortable- as to be expected since Tempurpedic did not design their neck pillow for this position. Similar to the Symphony pillow, the Tempurpedic Neck pillow has a very slow response time, a nice degree of pressure relief, and deep compression. It, too, offers a top-of-the-line, classic memory foam feel. 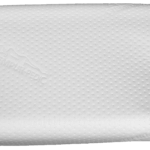 There are several different variations of the Tempurpedic Cloud pillow. For this review will be looking at the soft and lofty version. The TEMPUR-Cloud Soft & Lofty pillow is constructed from a TEMPUR shredded poly foam with polyester fibers, which helps to keep the foam from clumping together. This pillow is designed to have a medium-soft feel to accommodate stomach, side, or back sleepers. In comparison to the Symphony pillow or the Neck pillow, the Cloud (Soft & Lofty) pillow allows for more sinkage, creating a greater degree of hug and contouring around the neck, head, and shoulders. 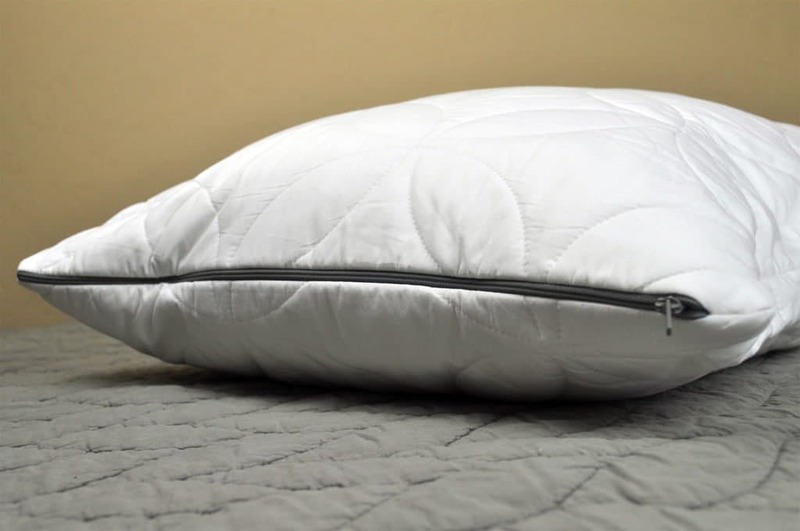 The TEMPUR-Cloud pillow is encased in a 100% cotton quilted outside cover that is removable as well as machine washable. The backing of the cover is a blend of 50% cotton and 50% polyester. 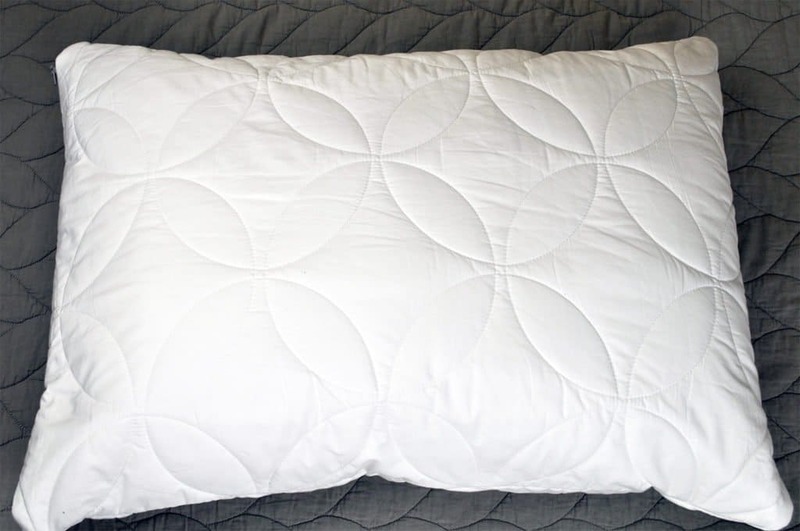 Aesthetically, this pillow has a white cover with an arched stitching pattern across the body of the cover. There is a small gray zipper at one end of the pillow for easy access. During my sleep test on the Tempurpedic Cloud Soft & Lofty pillow, I found this pillow to be very comfortable, especially for back and side sleepers. 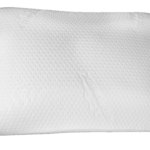 Unlike the Symphony pillow or Neck pillow, which both use a molded solid foam, the Tempurpedic Cloud pillow uses a shredded foam. This pillow has a quicker response time, more loft, and better airflow than the other two pillows, in my opinion. When I initially laid on this pillow, there was a noticeable sinkage, as the pillow began to hug around the contours of my head, neck, and shoulders. For stomach sleeping, I found this pillow to have slightly too much loft. After sleeping on it for a while, I began to feel tension in my neck and spine. Compared to the others, this lighter and loftier pillow does have less deep compression and pressure relief, but for sleepers looking for a less dense and moldable pillow, this may be a nice choice. Which Tempurpedic Pillow is right for you? Before going into the specifics, let’s start by saying that in addition to the suggestions below, sleepers who love any of these pillows must first know that they love memory foam. Although Tempurpedic does not disclose the exact recipe for a Tempurpedic foam fill, the feel is extremely similar to a high-end memory foam. All of these Tempurpedic pillows have great deep compression and pressure relief, but with that, they also have a very slow response time and warmer sleepers may have issues with heat retention. Want loft options – For sleepers looking for a pillow that has a low loft or high loft option without the hassle of physically removing foam, the Symphony pillow is a great choice. The low loft side is a great option for stomach sleepers, while the higher arched side is better for back or side sleepers. Want a moderate feel – Looking for something not too soft or too firm? The Symphony pillow offers a moderate feel for sleepers looking for the added firmness of molded foam, without being too dense. Want specialized neck support – For back or side sleepers who suffer from neck or back pain, this pillow may be a great option. The contoured profile of this pillow not only provides support for your head, neck, and shoulders, but it also is shaped in a such a way that it keeps you in the same position. Want a slightly firmer feel – The neck pillow initially had the firmest feel of these three pillows, but that firmness translated into pressure relief and deep compression once my head fully engaged with the foam. There is a nice amount of sinkage to provide lasting support throughout the night. Want a lighter, loftier pillow – This pillow uses a blend of shredded foams, combined with a polyester fiber for the fill, resulting in a pillow with incredible softness and a nice loft to it. 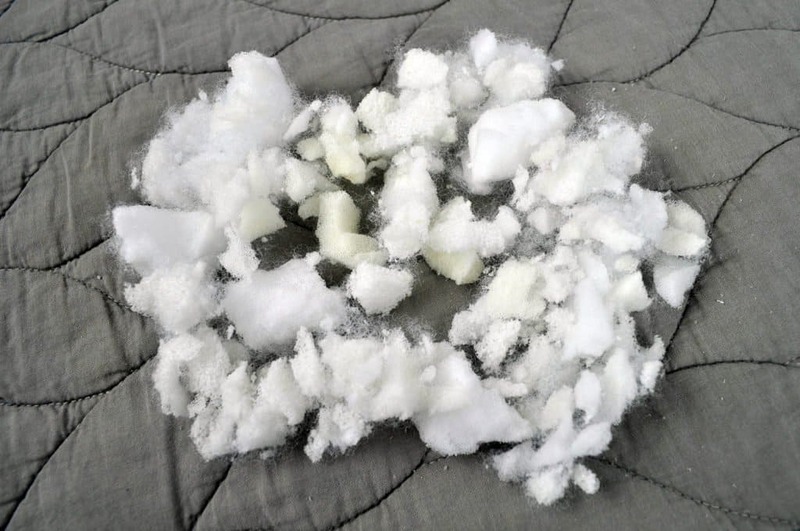 Want a faster response time – Because of the use of the shredded foam, this pillow has a quicker response time that’s closer to the response of a more traditional poly foam pillow. For more information on Tempurpedic pillows visit Tempurpedic.com. Tempurpedic offers pillows in a variety of styles and firmness levels. Whether you prefer a more traditional shredded foam or solid core memory foam, there is likely a Tempurpedic pillow that can suit your needs. The Tempur pillows certainly are not cheap, but they do offer strong overall performance designed for all positions.